PDF Snipping Tool 3.5 available now! Cute Translator 6.2 unlimited translation! Cute Translator is a powerful handy program to translate text, documents in Adobe PDF, Microsoft Word, Excel, PowerPoint, RTF, TXT, HTML format between 53 major languages. Cute Translator makes translation fast. The actual translation sever is online, so you will need an active Internet connection, but you won't have long to wait, even lengthy translation results are returned in seconds. Cute Translator is speech-enabled, it gets your computer talking to you! 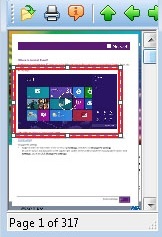 Click Translator 5.1 new product! Translate text from anywhere on screen with a single mouse select and a key press. Click Translator is a tool that provides instant translation of your selected text in 53 major languages. All you have to do is to select text from anywhere on screen and with one keystroke you will get its translation in a balloon message. Click Translator removes language barriers across the World Wide Web and enables you to communicate in different languages with ease. Cursor Translator 3.2 new product! Instantly translate words on screen as you move your mouse cursor. You can perform translations between such 53 languages as English, French, German, Italian, Spanish, Portuguese, Dutch, Greek, Russian, Japanese, Korean, Simplified Chinese, and Traditional Chinese, Hungarian, Danish, Dutch, Finnish, Swedish, Arabic, Catalan, Croatian, Czech, Hebrew, Norwegian, Afrikaans, Albanian, Belarusian, Bulgarian, Estonian, Filipino, Galician, Haitian, Hindi, Icelandic, Indonesian, Irish, Latvian, Lithuanian, Macedonian, Malay, Maltese, Persian, Polish, Romanian, Serbian, Slovak, Slovenian, Swahili, Thai, Turkish, Ukrainian, Vietnamese, Welsh, and Yiddish. USB Disk Storage Format Tool 6.0 new product! Quickly and thoroughly format any USB flash drive with your choice of FAT, FAT32, exFAT, or NTFS partition types. The software has been tested with thousands of flash drives (Compact Flash, Memory Stick Duo Pro, SDHC, SDXC, Thumb drive) of the following brands, SanDisk, Kingston, Transcend, Corsair, HP, Sony, Lexar, Imation, Toshiba, PNY, ADATA, Verbatim, LaCie, Panda, Seatech, SDKSK9, Silicon Power, IronKey, and HDE. Download (557 KB) Learn More 100% FREE! Restore Windows Photo Viewer to Windows 10 now! new product! Bring back the classic Windows Photo Viewer to Windows 10. Download (1.26 MB) Learn More 100% FREE! Free Download! [708 KB] Learn More TRUE FREEWARE!